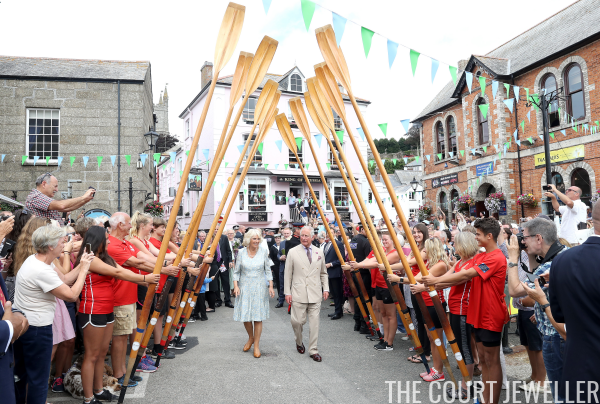 The Prince of Wales and the Duchess of Cornwall embarked on their yearly visit to Cornwall and Devon this week, which also happens to be the week that Camilla celebrates her 71st birthday. 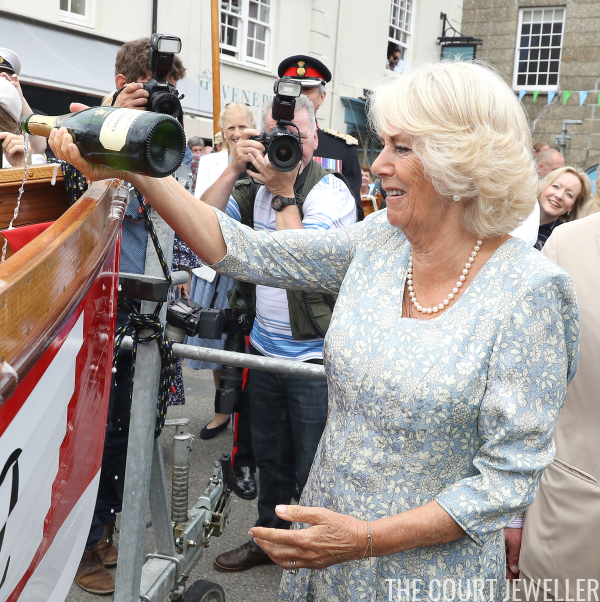 Here's a look at the jewels she wore for a day out in Fowey. 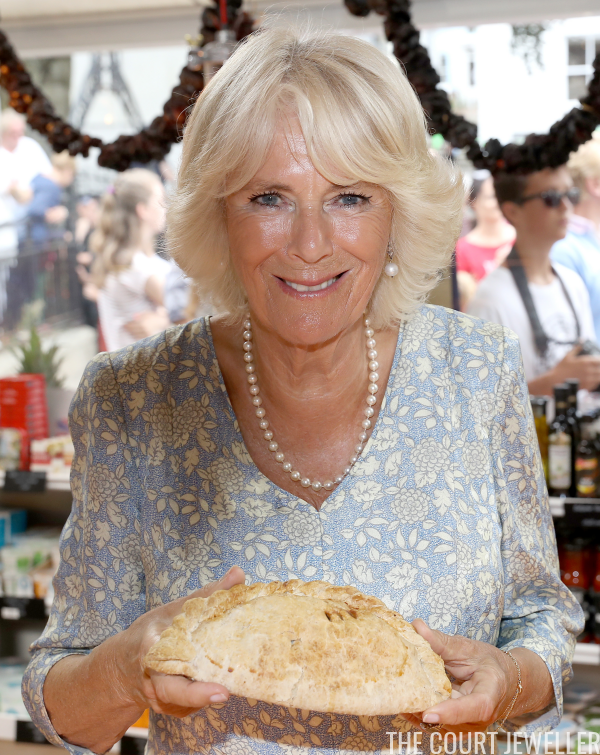 Camilla's go-to daytime jewelry uniform includes pearls, pearls, and more pearls, and she didn't deviate from that formula on this trip. 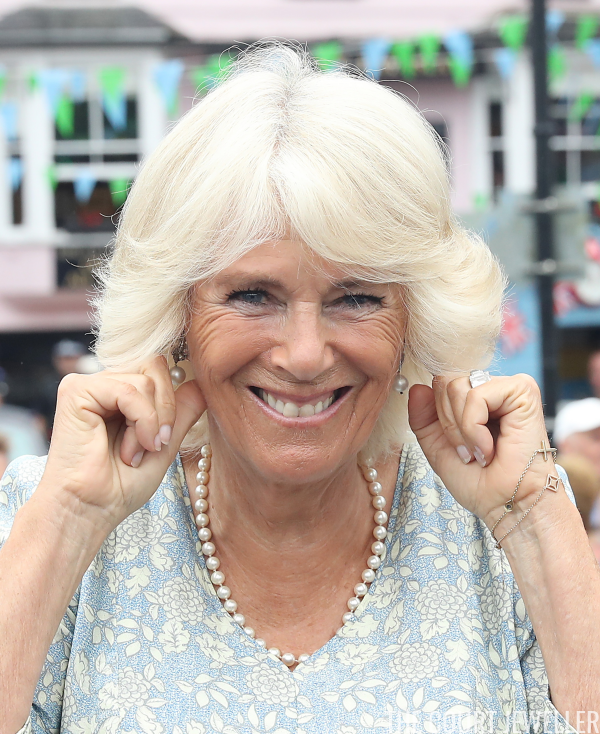 With her usual daytime pearl drop earrings, Camilla wore one of her single-stranded pearl necklaces. ...and then we got an even better look when she had to hold her ears as a cannon was fired nearby! I spy a series of charms here, including a small cross, an evil eye, and a geometric square design.